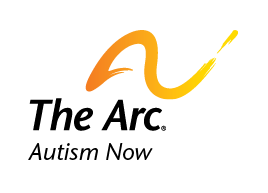 Discover how to plan for employment if you have autism or another developmental disability. Find answers to the most common questions about employment benefits and work incentives counseling. Every individual with a disability must choose whether to share his or her disability-related information with an employer. The decision whether to disclose is complex, and there is no right or wrong answer. Finding the right job is hard work and typically takes time and energy, and patience. Each job search strategy should be unique, and should go beyond just looking at openings on-line and in the newspaper. People are at different points when they find themselves in need of a job. Some know exactly what they want and how to go about getting it. Others need to learn more about their own interests and skills, or receive training before they are ready to start their job search. A person-centered approach to career planning helps the job seeker to make satisfying job choices. It is clear that just like all of us, people with disabilities, including ASD, can benefit from employment. Individuals across the spectrum can work when they find the right job match and when appropriate and individualized supports are built in.